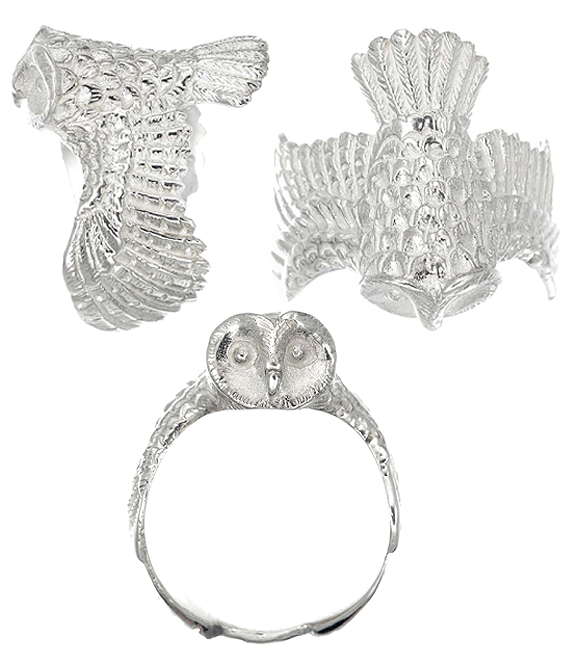 Lily says: This handmade Sterling Silver ring is carved with intricate detail to depict a beautiful owl that encompasses the wearer's finger with its wings. I love it! I imagine I would wear it on my index finger as a statement piece, were I lucky enough to own it. Hoot hoot!